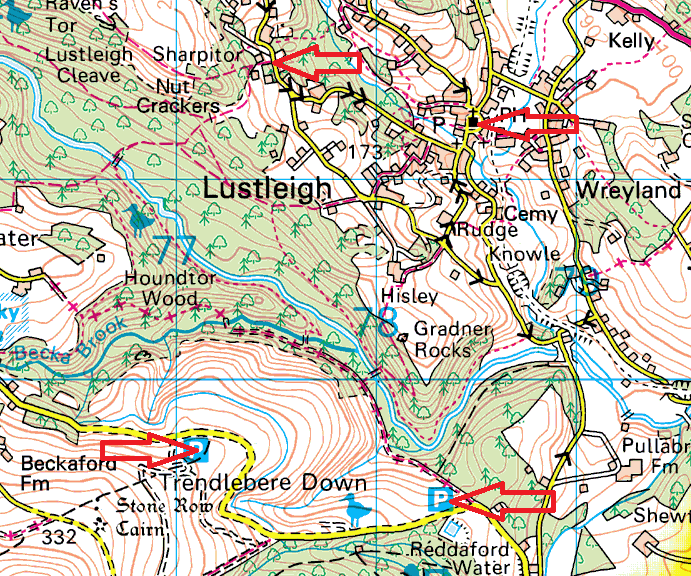 A couple of spots around the Lustleigh area to park up and enjoy a walk in and above Lustleigh Cleave. There are two spots to the south around the Reddaford Water area, from here its easiest to get to the southern end of the cleave and the area around Hisley Bridge. There’s are area in Lustleigh itself around the pub, this is roadside and will be very busy most times. My favourite spot is also roadside, but is right by the bottom of the path up to Sharpitor. The road at this points widens in a few areas, allowing for cars to be parked sensibly and not blocking any driveways.